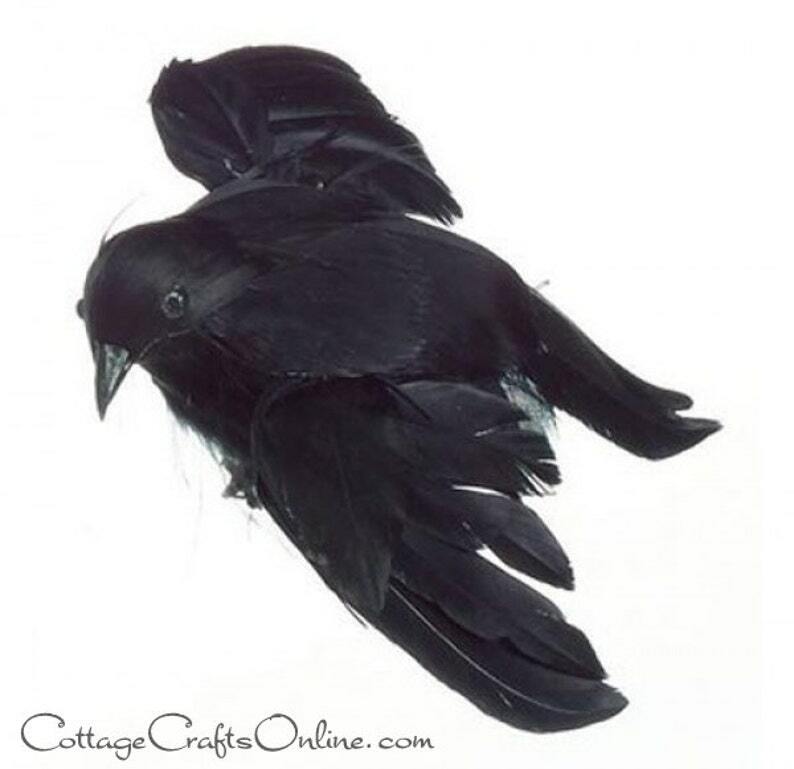 Black feathered crow with outstretched flying wing, 4.7" (4 2/3") at it's largest dimension. Quality product from large, well-known craft supply company, Darice. The smaller size allows the bird to be perched easily on picture frames, mirrors and plants. This listing is for 1 crow. Shipped quickly and just as described-thank you! !